Time Out London magazine had an interview with Daniel and they have posted a few quotes from their chat online which you can read below. 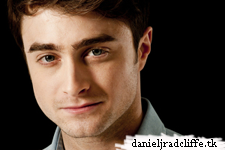 He talks about The Cripple of Inishmaan, a tattoo he is getting, writing a screenplay, Star Wars and more. Pick up Time Out London magazine on 4th June for the full interview. Update: 5th June 2013: Another photo can be viewed at Twitter. A sleek car purrs up to the back of Time Out’s offices and the agent (blonde, on the phone) and the muscle (two big rippling men) shoulder their way out of it. It’s a standard showbiz entrance. Until Daniel Radcliffe appears behind them: jumpy, nervy, intense, apologetic, beaming, dwarfed by his minder and driver (he’s 5 ft 5), and sucking hard on the last inch of an untidily rolled gasper. There’s fame – and there’s Potter. 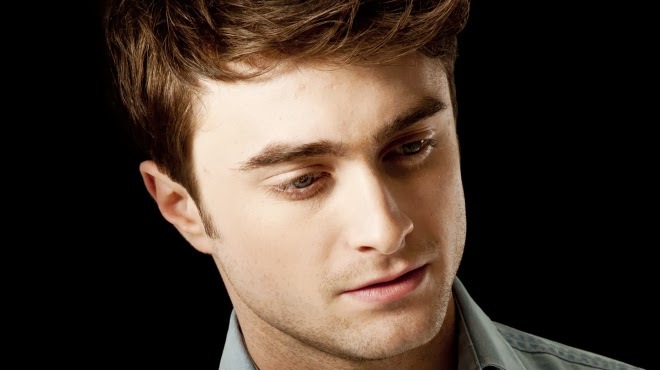 Radcliffe has not only survived both, but grown up into one of the most unpretentious actors you could hope to meet: a lucid, bright 23-year-old with credible roles such as the horse-bothering Alan Strang, in stage debut ‘Equus’, already behind him. He’s an object lesson in how to survive the curse of being a child star: relationships conducted quietly out of the limelight; brief teenage flirtation with booze swiftly abandoned; rigorous focus on working with the very best people. That’s what brings him back to London: a physically and mentally demanding stage turn as ‘Cripple Billy’, a bullied Irish village boy in Martin McDonagh’s black comedy, ‘The Cripple of Inishmaan’. Also coming soon are a couple of surprising film turns: as gay beat poet Allen Ginsberg in ‘Kill Your Darlings’ and as a guy who sprouts horns in, well, ‘Horns’. No horns today; Radcliffe is rumpled and grimy after eight hours chucking himself around in rehearsals. But he is still full of beans, talking at a mile-a-minute and jumping up to demonstrate how he twists his body to play the role. 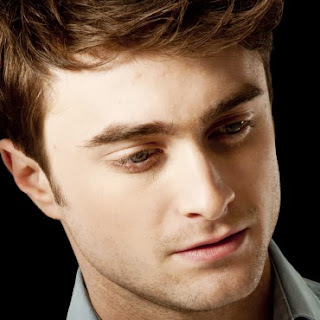 Ultimately, it’s his judgment as well as his enthusiasm that marks him out now, as more than the boy who lived through the Potter franchise, but the adult who’s outgrown it. Now you’re back on the West End to play a lame Irish village boy who dreams of going to Hollywood. Why this role now? Your character, Billy, gets bullied by everyone. How's that? What impact does that Mark Rylance-style physical acting have on your body? When Rylance played Rooster Byron he even seemed to get shorter. Why push yourself like this? Do you ever watch your own movies? Does the fact that you’re liable to get papped stop you going out in London? Would you play Harry again if JK Rowling wrote a sequel in ten years' time? Would you ever do another big franchise, like Potter? When Time Out last interviewed you a couple of years ago, you were living in Chelsea quite near to your parents. Do you still take your dirty washing home? Your teenage years were exceptionally exposed – but many people find their 20s even more difficult. How are yours? Would you like to settle down and have kids? Would you be a pushy parent? No regrets about not having that childstar meltdown and tattoos to show the kids?